Based on the idea of offering an adventure for the pet, we combine the seriousness of the service with the fun it delivers. The result is a brand that put the pet as the protagonist of the experience in a friendly and fun way. I think every time a pet leaves a house it looks for them like he will go on a trip, an adventure through the world. pets love. So I translated that feeling into the logo. a mindset of freedom but at the same time the feeling of group because he will unite with other pets. The rounded type and the round edges on the dog were chosen to give the feeling ” We are not a square company. 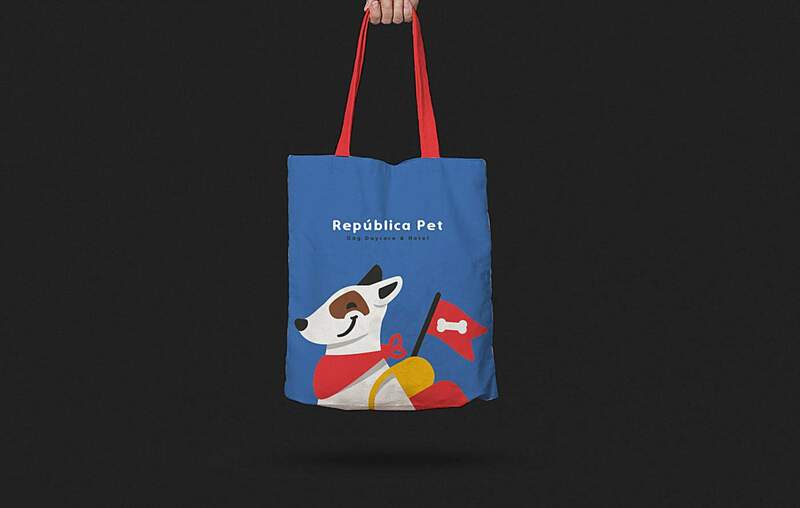 I choose basic colours to represent that Republica Pet is open to everyone and it looks fun and joy. The black comes to combine this fun with the refinement of the service. has a huge public! The owners said that the branding really impress the public. Well this project taught me that we have to believe in our ideas and be confident with our style. But in the end, they trusted me and everything went really great. I am a designer, illustrator and art director living in Sao Paulo’s concrete jungle. Branding and illustration are my passions.